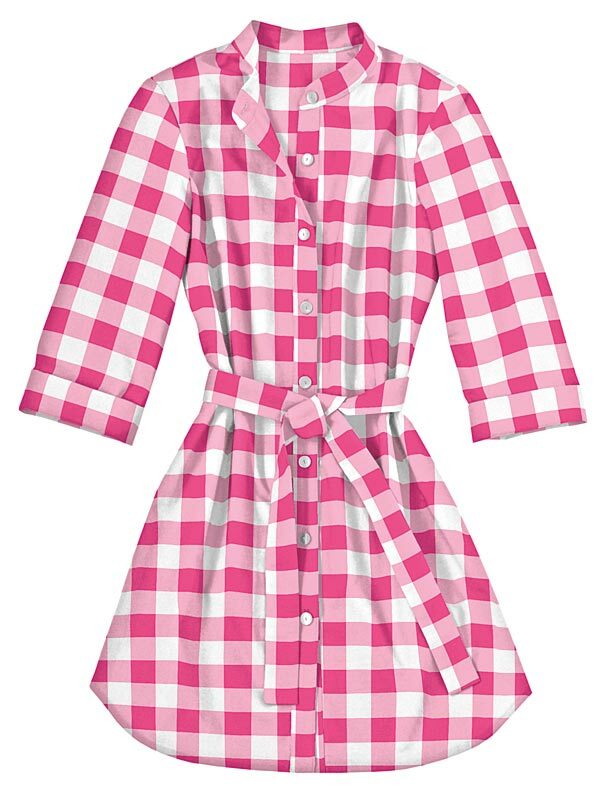 Every woman needs a great shirt dress in her wardrobe. It’s a basic, but it can be worn in so many way. 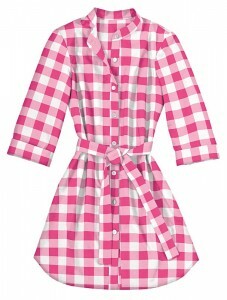 With the Traveler Dresses pattern, you can make the perfect shirt dress to suits your own style. 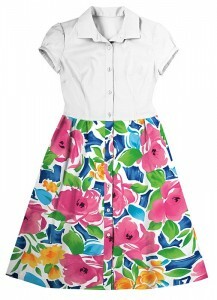 You can sew this as a straight, belted dress with pockets at the chest and hips. I like this version with a wide belt, but you could also wear it with the self sash included in the pattern. You can sew it as a tunic-length dress with a band collar that can be worn with leggings or skinny jeans (I refuse to call them “jeggings”!) or with tights and boots. You could try wearing this version open as a casual jacket, too. 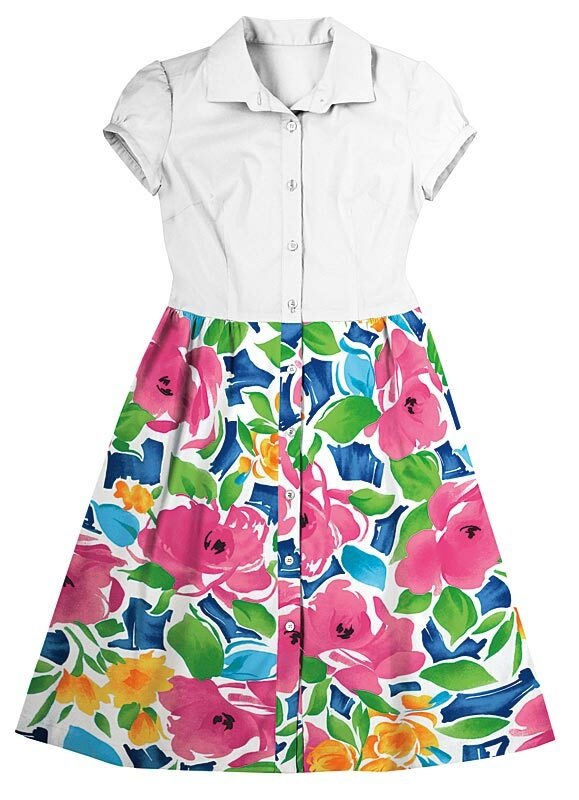 It would also look cute worn over a skirt that peeks out from underneath it, and with knee-hi socks and platform peep-toe heels. Finally, you can sew a dressier version with a gathered skirt and short sleeves. I like to wear this version with a skinny belt and heels to finish the look. Which version is your style? Or will you make and wear all three? I know I have. Congratulations Liesl,what beautiful flattering patterns! How lovely to be responsible for so much happiness. My twins are peering over my shoulders …. ”Oooh,Mummy,a Jumprope dress for ladies”! Miss Z is thrilled and hoping the size 6 will fit her! What “misses size” would you say the model is according to the pattern envelope? I thought ‘grown up Jump Rope’ too! I’ve ordered the larger sizes, but am thinking I may eventually get the smaller ones also for when Rosie (& Lucy too for that matter!) is big enough! I’m glad to see the introduction of patterns for women. I’ve bookmarked all of them except for this one (the style really doesn’t suit me). –I’m not crazy about capri pants or pedal pushers. –I prefer dresses with linings, although I think I could figure out how to add them. –The armhole on the tunic and shirt pattern (one shirt was green) seemed a little shallow. I wonder if the arm could be raised without lifting the entire shirt. I was in a store yesterday and saw your new book. It’s very nicely done. I’m considering buy it. At least I could make the messenger bag. This may sound odd, but I wouldn’t mind making the craft apron in an adult size. I am so excited to see these in adult sizes. I will be headed to the fabric store TODAY to buy this. I love all three of them, but first I would go for the tunic style. I love the idea of wearing it as a light jacket, too! Thanks for producing this. I love this type of shirt dress and now I can make my own! I’m definitely up for the first version. I’ve been on holiday and missed the big announcement! The first two are adorable! I would make those in a second! I love wearing the tunic style dresses over leggings…& I refuse to call them “jeggings” as well! Hehe! They look great with a cute pair of boots or wedges & can be worn dressed up or dressed down in my opinion. Is the Lisette fabric collection going to be available in all of the Joann’s stores? I would sure love to know. I read somewhere online that they are now available in a Joann’s store in Oregon. They are so beautiful!!! Yes, the Lisette fabrics will be available in all JoAnn stores nationwide, where Lisette has been given a section of the store to showcase the fabrics and the patterns. You’ll also see a sample of the Passport dress on a mannequin in each store. Not everything has arrived yet, so it may take another week or two before it’s all in place. But never fear–it will be there soon, with more fabrics and styles to follow. So stay tuned!